Also called regenerative surgery, bone grafts are used to recreate bone and soft supporting tissues lost due to periodontitis. If you have periodontitis, you may be losing bone support around your teeth. After extractions, Dr. Nguyen may recommend regrowing the lost bone with a graft. 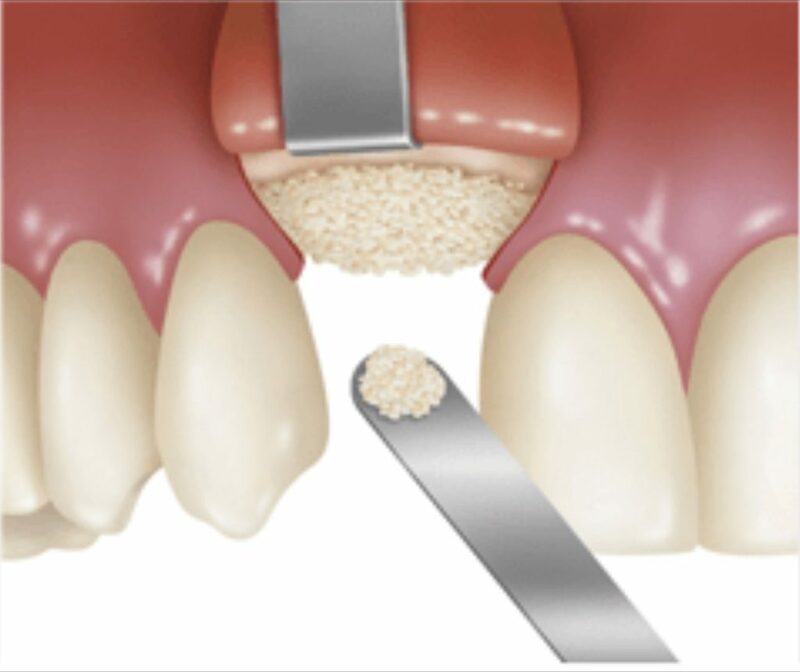 The goal of bone grafting is to encourage the body to rebuild the bone and other structures that attach a tooth to the jaw. Over the next few months, the grafted material will be encouraged to grow, which will fill in for lost bone and soft tissue. Information on the Bone Graft product we use in our office. Post-extraction crestal bone resorption is common and unavoidable which can lead to significant ridge dimensional changes. To regenerate enough bone for successful implant placement, Guided Bone Regeneration (GBR) is often required. GBR is a surgical procedure that uses barrier membranes with or without particulate bone grafts or/and bone substitutes. There are two approaches of GBR in implant therapy: GBR at implant placement (simultaneous approach) and GBR before implant placement to increase the alveolar ridge or improve ridge morphology (staged approach). Angiogenesis and ample blood supply play a critical role in promoting bone regeneration.